How Insurance Companies Limit Car Accident Claims | DeLoach, Hofstra & Cavonis, P.A. Most people assume they'll be covered for injuries and property losses after a Florida car accident. After all, they made regular payments to their insurance providers specifically to be taken care of in the event of a crash. However, no matter how much your insurance company claims to care about its customers, these companies are businesses. Their primary goal is to pay out as little as possible when someone makes a claim, even if it means using underhanded or devious tactics to deny a victim full and fair payment. Didn't seek emergency medical treatment after the accident. While it's a good idea to go to the hospital immediately after the accident, not going isn't a valid reason to deny a claim. Many victims are in shock after a crash, or drive immediately to their homes so that they can assure their families they're all right. They may not begin to feel pain until hours or even days later. As long as your physician treated you soon after the accident and believes that the crash caused your injuries, you should receive compensation for your medical bills. Was partially at fault. Victims often feel guilty if they were partially to blame for an accident, and an insurance company may try to take advantage of this. However, Florida is a no-fault insurance state, so it doesn't matter if your actions played a part in the accident. Wasn’t buckled up. While it's illegal for drivers not to wear a seat belt, it doesn't prevent them from getting injury compensation from an insurer. Similarly, victims who were driving without a license or driving with a suspended license may be charged with traffic violations and further suspensions, but there's no legal basis for the insurer to reduce the amount of the policy coverage. Was driving a defective vehicle. Insurance companies often look for any available reason to deny a claim, including inspecting the vehicle you were driving. Insurers may deny claims because of worn brake pads, burned-out lights, electrical problems, missed oil changes, and any other defect that could reduce the amount you are owed. However, the only way a claim can be denied due to a defect on a vehicle is if the defect directly contributed to the cause of the accident. Has made prior claims. If a driver previously submitted other claims, the insurance company may see him as accident-prone, even if he is never the one at fault in a crash. While insurers can increase rates based on a driver’s accident history, it is not a valid reason to limit or deny claims. Should have been able to avoid the crash. 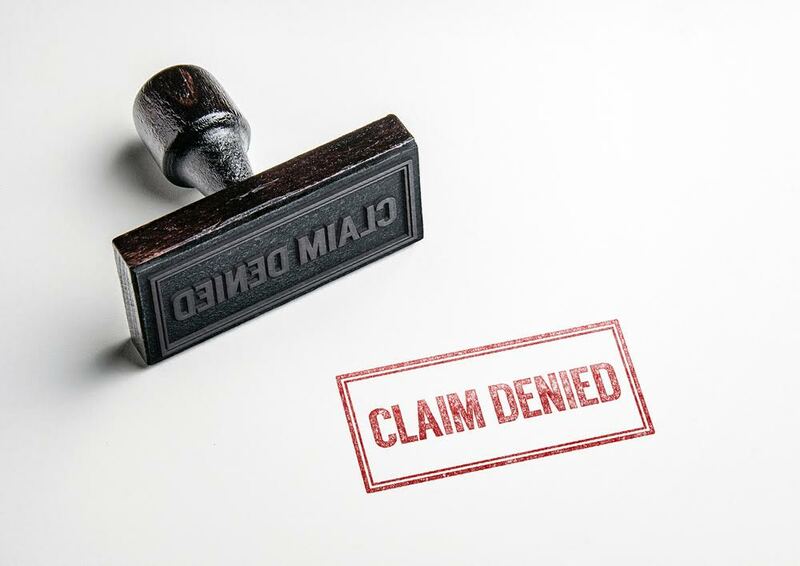 If the claimant is clearly at fault for the accident, the insurance company may send a letter stating that your claim is denied because you should have reacted differently (or were otherwise able to avoid the accident). Fault doesn't matter in Florida car insurance recovery, and an attorney can help to resolve this issue. Hasn't followed up on the claim. Insurance companies have a very small window in which victims can make, negotiate, and appeal their claims. As some victims will be in the hospital after a crash, it's not uncommon for them to be informed that their insurance file has been closed due to inactivity. However, a closed file can easily be reopened, and a victim still has a right to recover compensation as long as the statute of limitations hasn't expired. In Florida, the statute of limitations is two years or four years from the date of the crash: two years if the accident resulted in a wrongful death; four years if the accident resulted in injuries. Some people have their claims undercut or denied simply because they don't know their rights. Before you accept a final offer from your insurer, contact our accident attorneys for an evaluation of your claim. We do not charge any upfront fees in injury cases, so call us today to speak to a member of our legal team. How Much Compensation Can I Get From a Personal Injury Case?